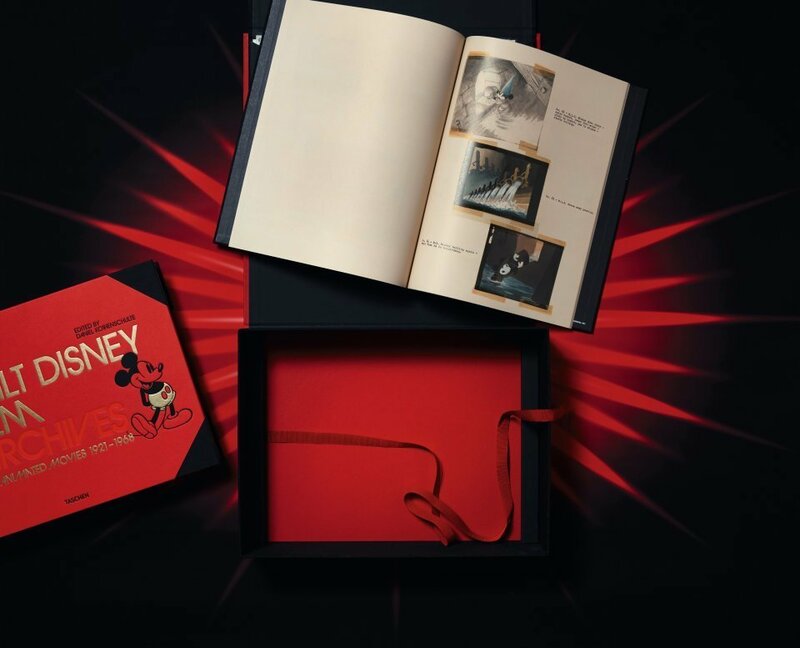 This TASCHEN Collector’s Edition presents the first volume of one of the most expansive illustrated publications on Disney animation. In it, some 1,500 images as well as top essays by eminent Disney experts take us to the beating heart of the studio’s “Golden Age of Animation,” tracing Disney’s complete animation journey from the silent film era, through his first full-length feature Snow White and the Seven Dwarfs (1937) and the pioneering artistic experiment Fantasia (1940), right up to his last masterpieces Winnie the Pooh and the Honey Tree (1966) and The Jungle Book (1967). 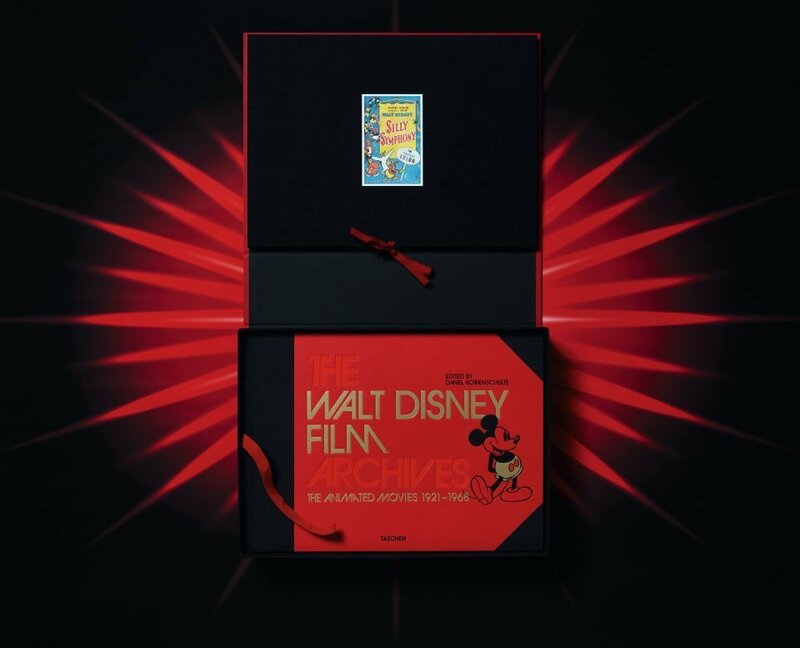 The book brings focus to each of the major animated features made during Walt’s lifetime, including Pinocchio, Fantasia, Dumbo, Bambi, Cinderella, Peter Pan, Lady and the Tramp, and One Hundred and One Dalmatians, without forgetting the experimental short films of the Silly Symphonies series, underappreciated episodic musical films such as Make Mine Music and Melody Time, and many unfinished projects, such as proposed sequels to Fantasia or a homage to Davy Crockett by painter Thomas Hart Benton. 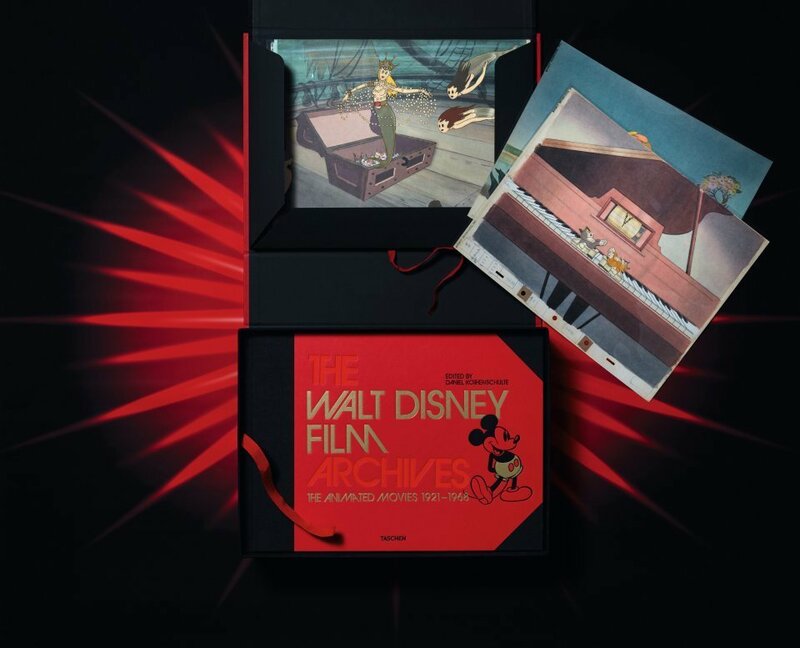 With extensive research conducted through the collections of the Walt Disney Company, as well as private collections, editor Daniel Kothenschulte curates some of the most precious concept paintings and storyboards to reveal just how these animation masterpieces came to life. 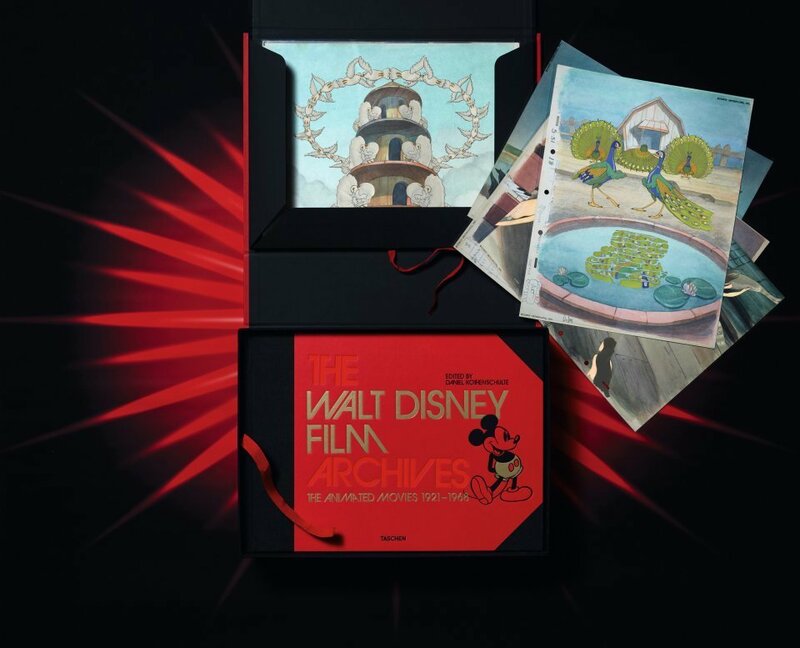 These original artworks are accompanied by cel setups of famous film scenes, rare pictures from Disney photographers, and fascinating excerpts from story conferences between Walt and his staff. 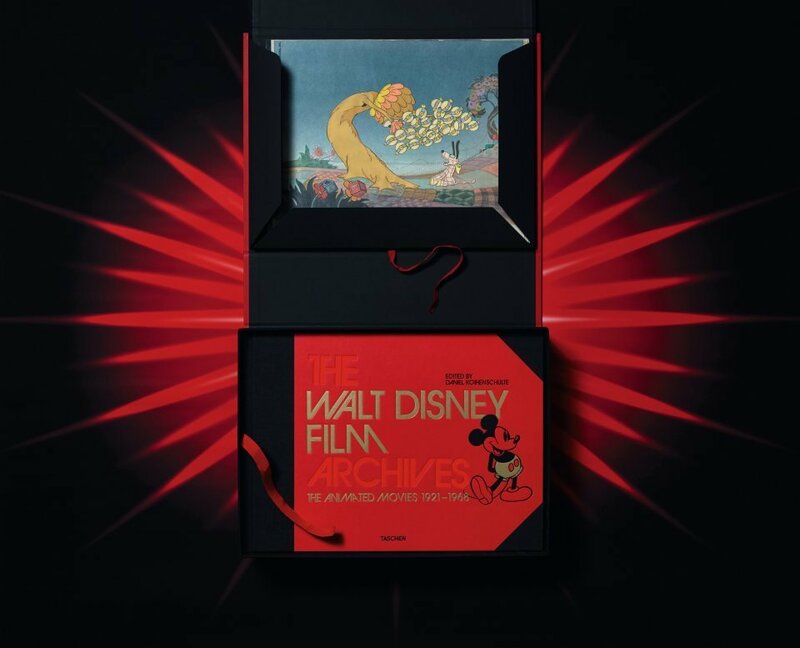 Throughout, contributions from leading Disney specialists detail the evolution of each film and honor the outstanding animators and designers who influenced the style of the studio, among them Albert Hurter, Gustaf Tenggren, Kay Nielsen, Carl Barks, Mary Blair, Sylvia Holland, Tyrus Wong, Ken Anderson, Eyvind Earle, and Walt Peregoy. 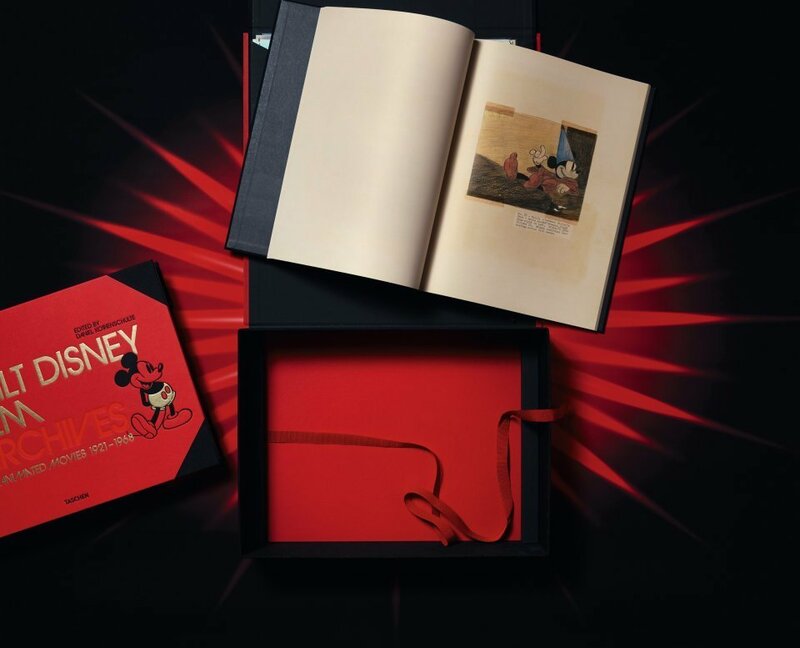 This definitive Collector’s Edition, limited to 2,500 copies, comes with its own facsimile of a 64-page color storyboard designed for Mickey Mouse’s legendary appearance in “The Sorcerer’s Apprentice” in Fantasia and stunning facsimile portfolio of five masterful cel setups from the Silly Symphonies cartoon musicals, offering remarkable testimony to the love of detail that was built into each Disney frame. 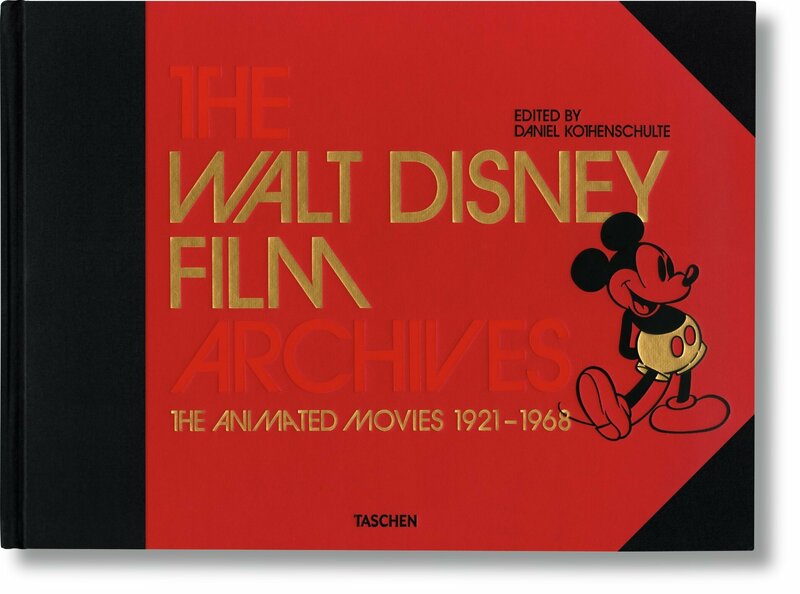 First volume of one of the most expansive illustrated publications on Disney animation. 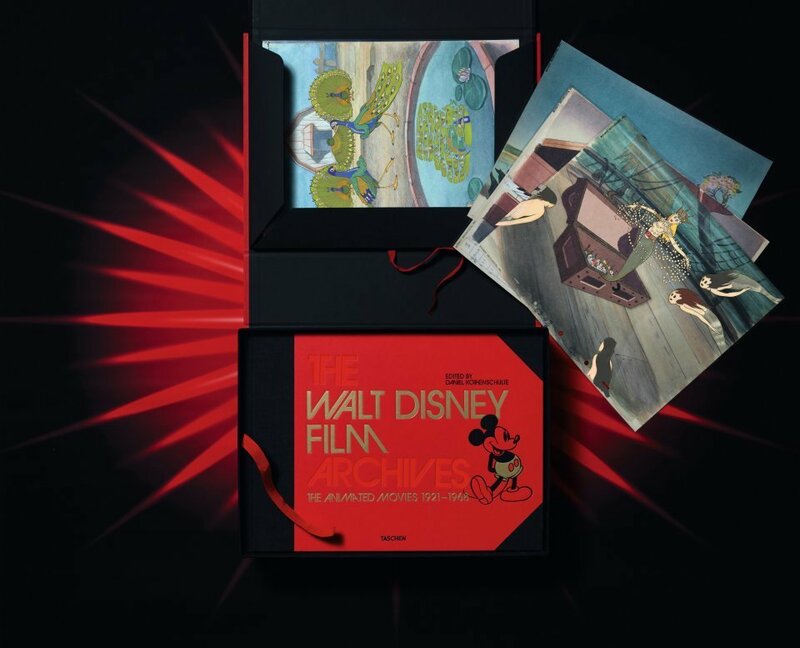 Presented in a clamshell box with facsimile portfolio of 5 cel setups from the Silly Symphonies and a 64-page facsimile reproduction of color sketches for “The Sorcerer’s Apprentice” from Fantasia, many of them designed by legendary Disney artist Tom Codrick. 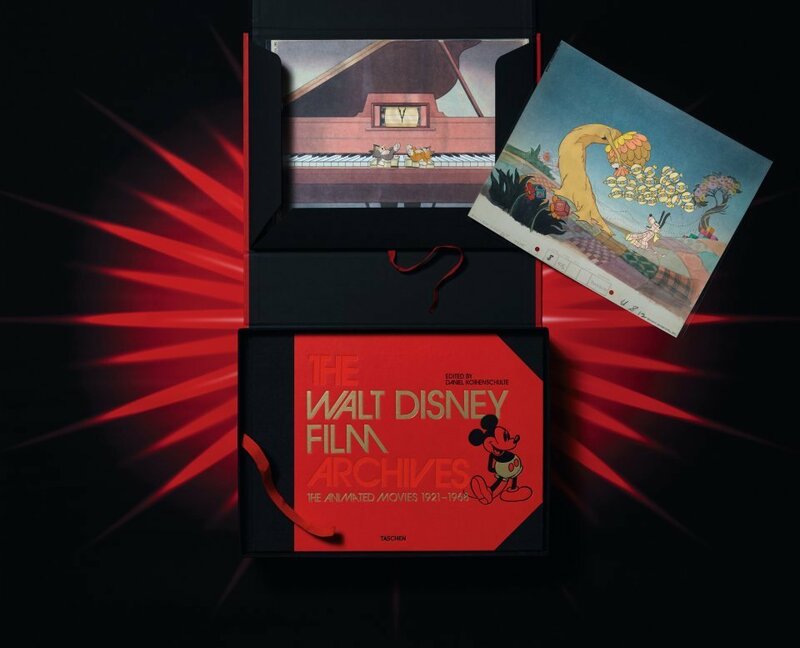 Produced with the assistance of the Walt Disney Archives and Disney’s Animation Research Library. Covers the Walt Disney journey from the era of silent films through to his final masterpiece The Jungle Book (1967). 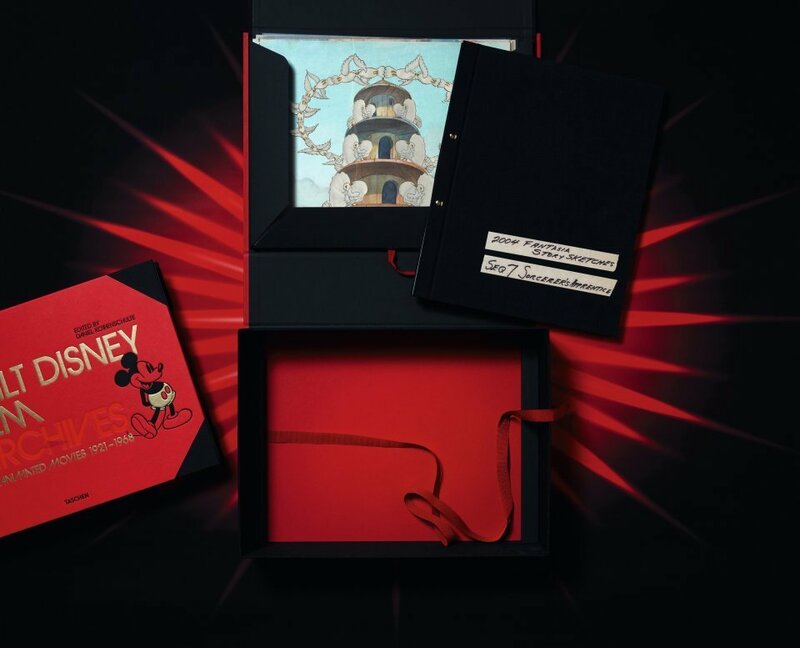 Includes the first full-length feature, Snow White and the Seven Dwarfs (1937), the landmark artistic experiment Fantasia (1940), and beloved postwar classics such as Cinderella (1950) and Peter Pan (1953). 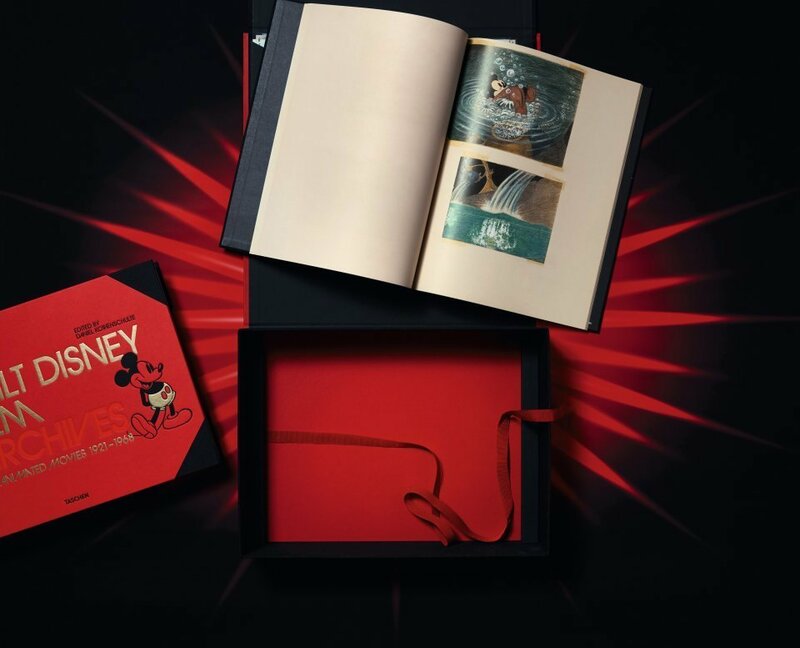 1,500 illustrations and essays by eminent Disney experts. Masterful cel setups provide highly detailed illustrations of famous film scenes. Remarkable behind-the-scenes insight with excerpts from story conferences with Walt and his staff and rare pictures taken by Disney studio photographers. Hardcover, 620 pages, 16.25" x 11.75" in. 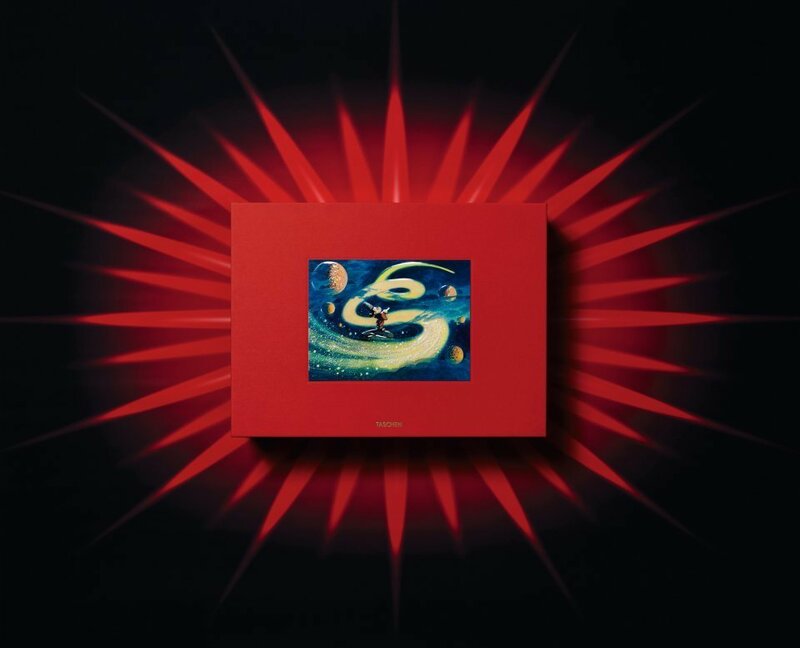 in clamshell box. With portfolio of five 14.5" x 11.75", and a 64-page facsimile of 'The Sorcerer's Apprentice' storyboard from Fantasia, 11.75" x 14.5".